A U.S. Marine greeting local children working in an opium poppy field in 2011. 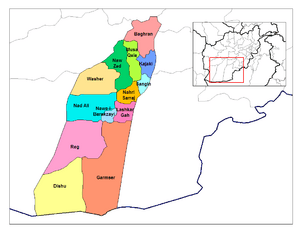 Helmand Province Facts for Kids. Kiddle Encyclopedia.